So I'm really confused right now. 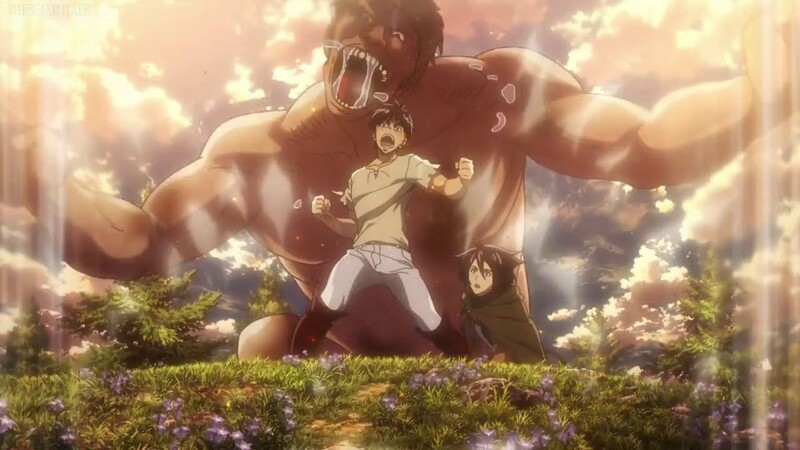 I think maybe I'm subject for the Mandela effect or something, because I could have sworn that season 1 of Attack on Titan ended with the smiling titan eating Hannes and Eren using his founder titan power to control the other titans to eat her. But now when I've started watching Season 2, that's what ends season 2? I don't understand that at all. I remember that I started reading the manga at chapter 50 and onwards, because that's how far the anime had come. And that was a couple years ago! I'm talking about this scene right here. I feel like I clearly remember having seen this, but Season 1 doesn't seem to end this way. So how the hell can I remember it from season 1? I haven't even come that far into Season 2 yet so I can't have mixed it up. Annie is revealed to be the Titan Female. Eren and Annie fight in the inner walls in their titan forms, causing great destructions. Using the hand-to-hand moves Annie teached him, Eren defeats her. Eren, by compassion, doesn't kill Annie who protects herself in an unbreakable crystal shell. Erwin attends a government inquiry, where he reveals that he kept his plans secret to prevent leaks. He further explains that despite the deaths and casualties of his plan and how they cannot get any information from Annie now that she is encased, she is proof there are humans that can turn into Titans living within the walls and he plans to find and use them to launch a counterattack against the Titans. Erwin's name is cleared, Eren stays with the Survey Corps, Annie is put under the Survey Corps's custody and the rest of the 104th Top Trainees go on their different missions. In the epilogue, a piece of Wall Sina crumbles, revealing the face of a Titan within the wall. Directly after the epilogue, the first episode of the second season starts. What type of government structure exists in Shingeki no Kyojin? How were the walls in Attack on Titan built? What is the gender of Armin in Shingeki no Kyojin? In Shingeki No Kyojin, when does Eren lose 3 years of his memory? Which was the wall Titan Eren sealed with a rock? What happened to the Titans after the Survey Corps left the walls?